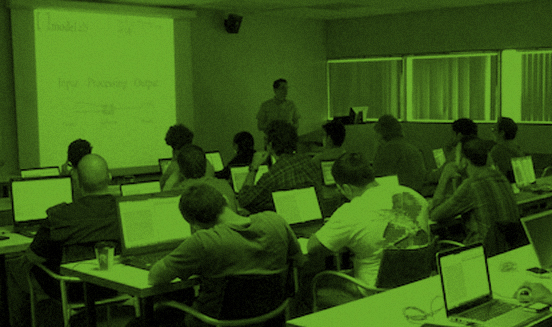 The University of Texas at San Antonio hosted TEX-FAB 3 over three days in April 2012. 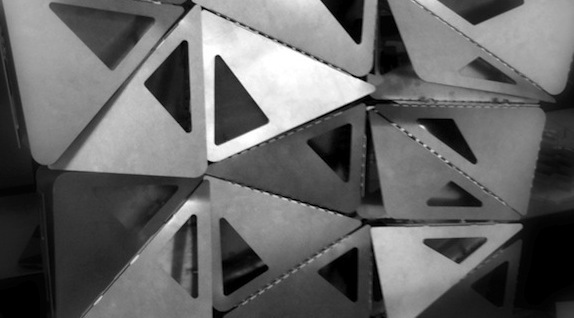 Our goal of creating a regional dialogue on parametric design and digital fabrication was achieved after previous events in Dallas and Houston. Our goal to engage architectural and construction practice as well as design research brought speakers Ryan Welch, Jonathan Mallie and Jason Vollen from the notable offices of Kieran Timberlake, SHoP Construction and the Center for Architecture, Ecology and Science at RPI (CASE). 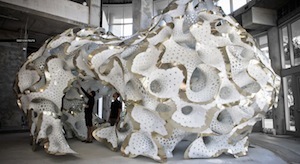 The compelling work and unique methodologies of Marc Fornes / THEVERYMANY were featured in his Keynote Lecture and in the workshop he led that investigated the power of scripting to explore and realize surface geometries composed of complex assemblies. For the first time we were joined by David Fano from CASE Inc., who expanded the range of software instruction to include the use of Revit as powerful parametric design tool. Students, faculty and professionals from across the region converged on San Antonio for a weekend of discourse, education and social conversation fostered by the efforts of TEX-FAB to align a global conversation with a local audience. 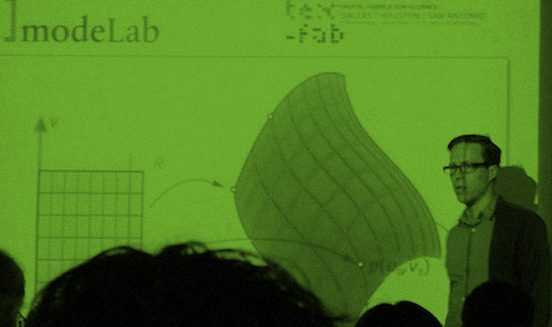 MARC FORNES is a registered “Architecte DPLG” mixed with a fine connoisseur in computer science. Hidden under his label THEVERYMANY™ – www.theverymany.com – he is one of the leading figure in the development of computational protocols applied to the field of design and fabrication. He defines research and practice aganda as a quest for ”Explicit and Encoded”, “Precise Indetermination”, “Progressive Geometry” all seeking “Unconventional Futures”. Under THEVERYMANY™ – Marc has designed and built a extensive body of large scale prototypical installations. He has been invited across the globe, lecturing at the MoMA (NYC), showing work at the Guggenheim (NYC) and is part of the permanent collection of the Centre Pompidou (Paris) and the FRAC Centre in Orleans. In 2007 he designed and launched – www.scriptedbypurpose.net – the first exhibition exclusively focusing on scripted processes within design – and curated in 2008 the European section for the Architecture Biennale in Beijing. Jonathan Mallie is one of six principals at SHoP. He currently serves as the Managing Director of SHoP Construction, established in 2007. Together with his partners, Mallie has developed integrated design and construction platforms that have instituted transparent working environments and enabled seamless exchanges of information to take place amongst project stakeholders. Jonathan has taught at multiple universities including Columbia University’s Graduate School of Architecture Planning and Preservation, the University of Florida’s Graduate School of Architecture’s Global Lab, Miami University of Ohio, and the New Jersey Institute of Technology. Mr. Mallie received a Bachelor of Science in Design from University of Florida (1996) and was recently named the recipient of the School of Architecture’s Architects Award (2011). He received a Master of Architecture from Columbia University (1999) where he graduated with Honors for Excellence in Design. 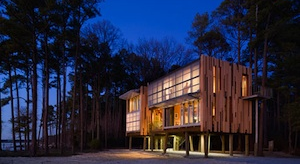 He is a registered architect in the State of New York. 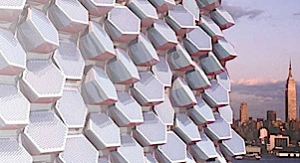 Jason Oliver Vollen is a Registered Architect and researcher focused on emerging material technologies, specifically, the integration of energy per-formative structural ceramics, dynamic and environmental simulation, and digital fabrication. Prior to joining RPI, Vollen was an Assistant Professor at the University of Arizona working in the Emerging Material Technologies Research Group focusing on next generation design strategies based on the integration of emerging technical systems. Vollen is a principal with Binary design, a collaborative practice focusing on energy effective architecture and emerging material processes. He has worked with Matter Architecture Practice in New York and as a project manager, designer, and fabricator with the Cranbrook Architecture Office. Vollen received his Bachelors (B.Arch) from The Cooper Union Institute for the Advancement of Science and Art and his Masters (M.Arch II) from Cranbrook Academy of Art. Ryan Welch is the Building Performance Specialist at KieranTimberlake, an internationally recognized architecture firm noted for its commitment to research, innovation and invention. As the newest member of KieranTimberlake’s Research Group, Ryan conducts research on building envelope modeling and environmental monitoring, primarily through the development of new software tools that combine physical and spatial reasoning. Ryan's work aims to provide visual and quantitative feedback early in the design process, enabling iterative modeling of multiple design scenarios. Prior to receiving his Master of Architecture degree from Yale University, Ryan studied Chemistry and Russian at Amherst College. 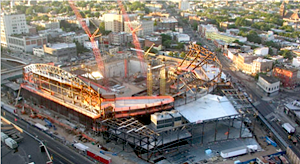 At Yale, Ryan has conducted research on tall building structural analysis, nation-scale development planning, sustainability indexing, and robotic fabrication. 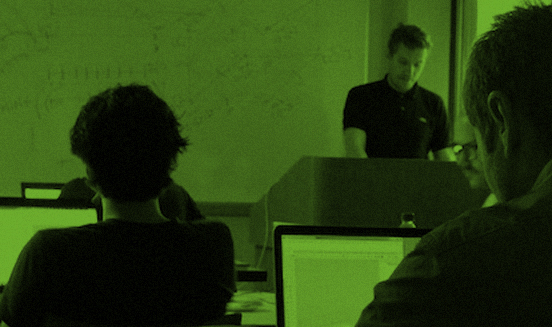 Ryan teaches architectural design studios at Yale and Princeton universities with Alejandro Zaera-Polo. Kevin McClellan focuses his energies on place, new technologies, emergent systems and their material effects on form. Through both art and design, he fuses contextual research, sustainable practice and agency as a mode of production in all scales and in all mediums. As a graduate of the Architectural Association’s DRL (2005) with project distinction, Texas A&M (1998) and the University of Texas (1995), his background reflects an array of interests and competencies in both the making of art and the design of environments. Since 2009 he has taught design at the University of Texas at San Antonio and completed funded research as an Assistant Professor in Research at the University of Houston. 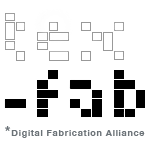 In 2009 he co-founded TEX-FAB *Digital Fabrication Alliance a not-for-profit 501c3 charged with connecting architects/designers, fabricators and academics in Texas. Bringing together a leaders in the field to teach twelve workshops held at the UTSA Monterrey Building in downtown San Antonio. Sold out workshops with participants representing two countries, seven states and ten academic institutions. 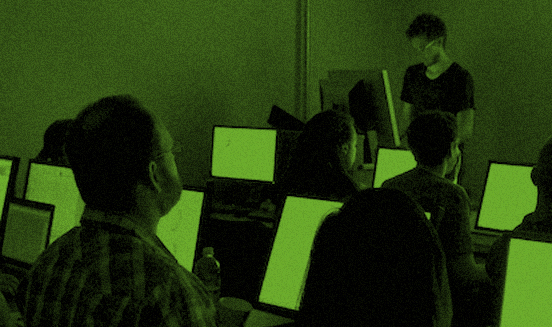 The sessions – taught by leading software developers, designers, and instructors in the field, including Marc Fornes, David Fano, Ronnie Parsons and Gil Akos and Travis McCarra – focused on the use of the NURBS modeling software Rhino. 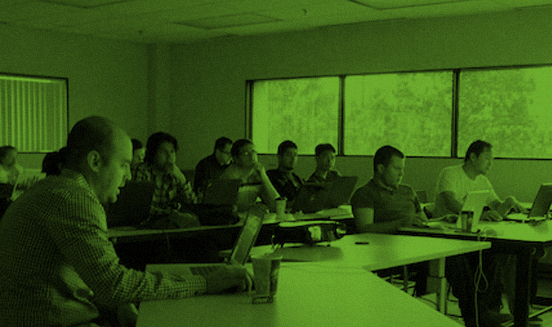 The sessions ranged from an introduction to a more advanced lesson that addressed issues of scripting, paneling, and the parametric plug-in Grasshopper with the addition of Revit.